Christmas is arriving around the world as we speak. Santa is in full swing delivering iGifts to well-behaved children and adults. 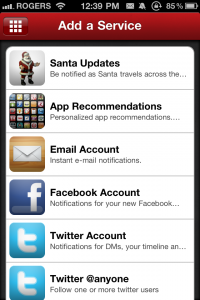 Want to track Santa on your iPhone? It’s easy and incredibly fun thanks to Google Maps and Boxcar. 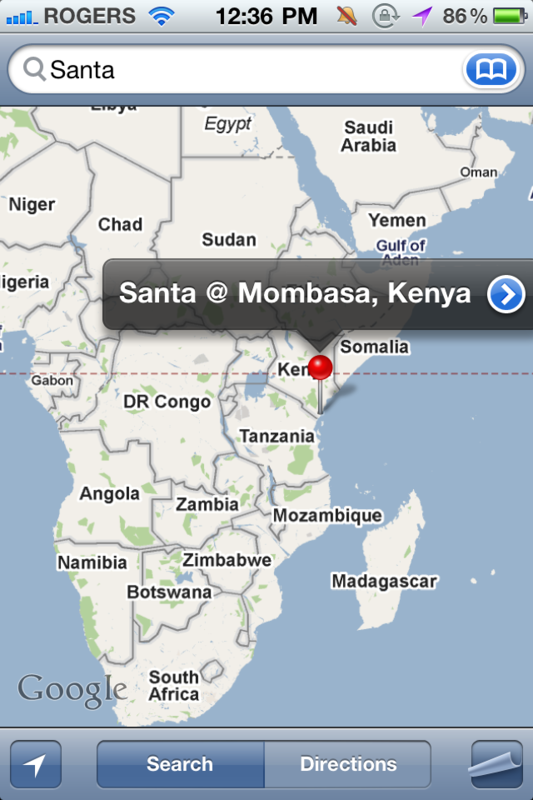 With Google Maps: Type in “Santa” and click search. BAM! 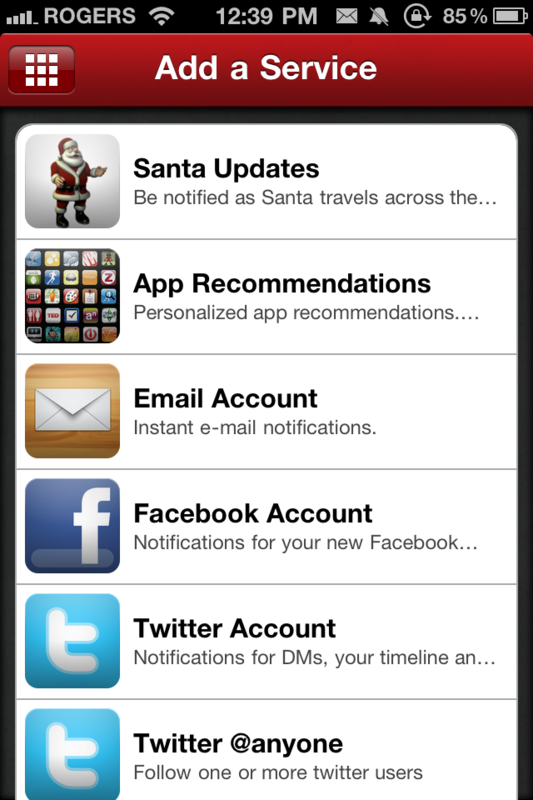 With Boxcar: Got to “Add a Service” and select “Santa Updates”. Click Save. 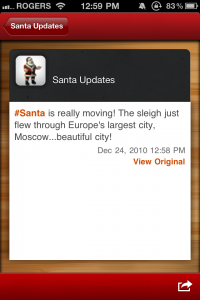 Google Maps will show you exactly where Santa is on the map, and Boxcar will send you periodic updates where Santa has arrived at. It’s a great service if you have kids or little friends/family members. 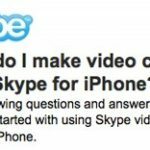 Skype Video Calling Coming to iPhone?